Nathalie Heirani Salmon-Hudry is a writer whose inspiring work is bringing about positive change for people with disabilities in her native French Polynesia. She is the author of the moving autobiographical tale “Je suis née MORTE” (meaning “I was born DEAD” or “I was stillborn”) that she wrote using a computer head pointer. 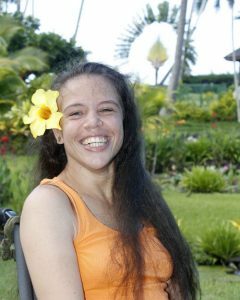 The book deals with “how you develop, how you grow up, how you become what you should be with a disability in Tahiti” as the writer explained during an interview with Polynésie Première TV for International Women’s Day in 2016. Her testimony covers the difficulties that she has experienced at every stage of life. Her book, which invites readers to a deep sense of humbleness, particularly underscores the uphill battle she had to wage and the perseverance she needed to be able to complete her studies, write her book, and become a published journalist. Through her book, Ms Salmon-Hudry wants to “show the disability, but in the background”, because the person should be “in the forefront”. Her work provides wonderful insights into love, determination, hope, family, openness of mind and spirit, faith, depression, and learning. “Raising a child with a disability means reinventing life…first and foremost it is a beautiful love story between a child and their parents…It is the love that you bear for your handicapped child that will determine their destiny,” she wrote. 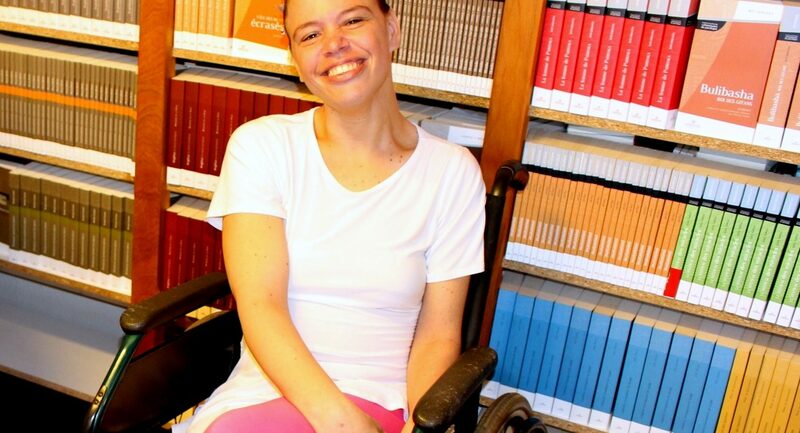 Resolved to change ideas and attitudes towards people with disabilities, Nathalie Heirani Salmon-Hudry also demonstrates the importance of writing in “transcending differences” (the title of a talk she gave at the University of French Polynesia in 2015). “Je suis née MORTE” was awarded the Vi Nimö literary prize in New Caledonia in 2015, and was a great success at the French “rentrée littéraire” of the same year. This portrait of Nathalie Heirani Salmon-Hudry was first published by the Pacific Community for the 70 Inspiring Women campaign, it is reproduced here (with some modifications of our own) with their permission.